Paul has 20+ years of alliances and sales experience in the high technology and training industries. In October of 2011 Paul launched Georgia LEARNS in an effort to increase the implementation of innovative learning methods in the workplace by fostering collaboration amongst entities within the training industry. He has helped lead the BUDS board since its inception in 2010. Georgia LEARNS supports collaborative, technology-based learning initiatives that have global impact across all areas (K-12, Academic, Work, Personal). 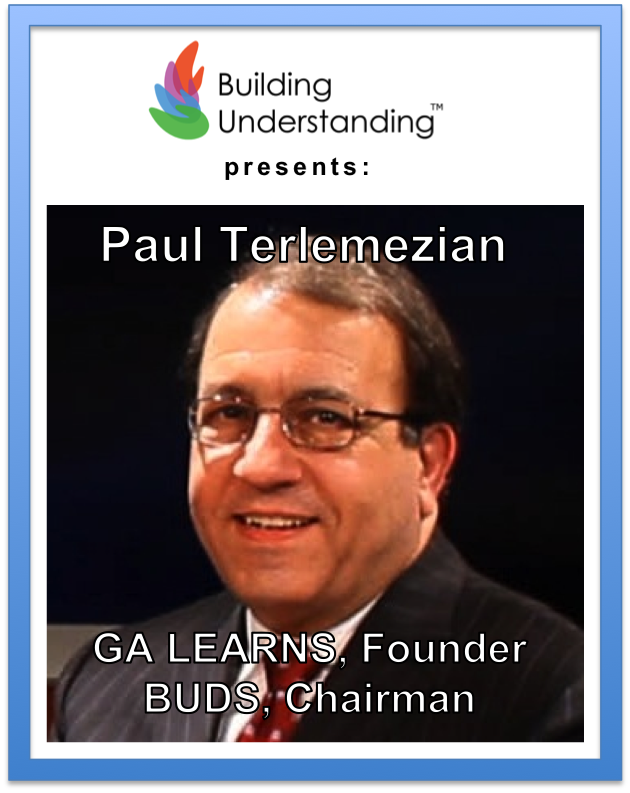 Join Georgia LEARNS founder (and Building Understanding board chairman) Paul Terlemezian for a special luncheon presentation about technology, learning, and collaboration. Paul is the owner and founder of iFive Alliances, LLC, which builds revenue producing strategic alliances for training, consulting and technology companies. He was the 2008 President for the Atlanta Chapter of ASTD (American Society for Training and Development). Since 2006 he has been the Affiliate Chair for the Southeast Chapter of the Association of Strategic Alliance Professionals (ASAP). In 2008 he founded and launched the Technology Association of Georgia (TAG) Workplace Learning Society and in 2009 was appointed to the TAG Board of Directors. 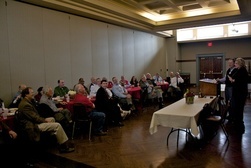 In partnership with Northside Kiwanis Club and the GA Fulbright Alumni Association, Building Understanding (BUDS) offers a monthly luncheon speaker series at First Presbyterian Church (Midtown), every third Friday from noon to 1:30PM.